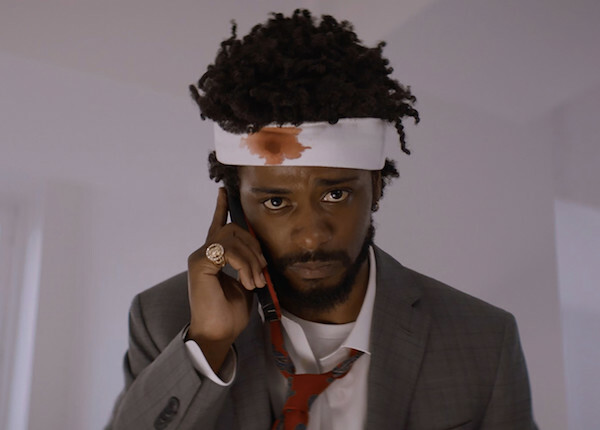 Lakeith Stanfield stars as Cassius Green in director Boots Riley’s SORRY TO BOTHER YOU, an Annapurna Pictures release. Our Home, Our Stories, Our History: Preserving the Baltimore Uprising: Celebrate a yearlong effort by Baltimore City culture workers and students, to collect and preserve stories about the city. 5:30-8:30 p.m., Maryland Historical Society, 201 W. Monument St.
410 Party: Raise money for the Acme Corporation. 5-9 p.m., Pen & Quill, 1701 N. Charles St.
Centering Black Maternal Health and Reproductive Justice: A conversation about the maternal health challenges to raise awareness, inspire collective activism and strengthen organizing. 6-9 p.m., The Bloom Collective, 2000 Greenmount Ave.
Vigil for Brittney Fleming: Remember the life of beloved community member Brittney Fleming. 6-9 p.m., The Ynot Lot, 4 W. North Ave. Writers LIVE: Katrina Bell McDonald, Marriage in Black: Johns Hopkins University’s Katrina Bell McDonald talks about her book, which offers a progressive perspective on black marriage. 6:30 p.m., Enoch Pratt, Central Library, 400 Cathedral St.
Training for Volunteers: ICE check-ins & court accompaniment: training and info session with Sanctuary Streets Baltimore. 7-8:30 p.m., 1 W. Franklin St.
Psychedelics’ Past, Present and Future: Baltimore and Beyond: Dr. Albert Garcia-Romeu reports on their initial findings on the promising therapeutic effects of psychedelics when administered to well-prepared individuals in a safe, supportive setting. 7-9 p.m., Baltimore Underground Science Space, 101 N. Haven St. #105. Saturday Clean Up Crew: A monthly initiative to gather neighbors together to take care of our streets, sidewalks, and alleys in the area around Clinton & Pratt. 9-10:30 a.m., Breath of God Lutheran Church, 141 S. Clinton St. Grown in Baltimore: Join FORCE at Whitelock Community Farm for Grown in Baltimore, an evening of food, fellowship, music, and a space to honor some of the thousands individuals who have contributed their time, money, resources, creative energy, and more to the Monument Quilt since its inception. 4:40-8:30 p.m., Whitelock Community Farm, 930 Whitelock St.
Film Screening: Sorry to Bother You: Catch a free screening of Boots Riley‘s critically acclaimed directorial debut Sorry to Bother You, ahead of Riley’s April 24 talk at the Baltimore Museum of Art. 7-9 p.m., Baltimore Museum of Art, 10 Art Museum Drive. April 13 of the Month Event: Discuss the legacy of the black church in the fight for freedom. 2-4 p.m., The Simmons Memorial Baptist Church, 601 Cumberland St.
Rice, Beans, and Zines: Buy zines and talk about reproductive justice. 5-8 p.m., 300 E. 30th St.
Market Center Strategic Revitalization Plan Public Meeting: Contribute input as the Market Center Community Development Corporation develops a strategic revitalization plan for Market Center. 4:30-7 p.m., The Downtown Cultural Arts Center, 401 N. Howard St.
Baltimore City Council Meeting: Council President Vice President Middleton will preside over a meeting of the Baltimore City Council. 5 p.m., Baltimore City Hall, 100 N. Holliday St. Charm City Fringe Office Hours: Talk with Charm City Fringe about volunteering opportunities, application questions, theatre, and more. 6:30-8:30 p.m., Mount Vernon Marketplace, 520 Park Ave. Opening Reception – Salt of the Earth II: LaToya M. Hobbs: In her developing series, Salt of the Earth, inspired by the biblical scripture Matthew 5:13, LaToya M. Hobbs explores the personification of women as salt and their function as preservers of family, culture, and community. 6-8 p.m., Baltimore City Hall, 100 Holliday St.
Trans Issues Are Not Trans Issues with Ava Pipitone: Attendees will receive knowledge of how binary gender was used as a dominination tool in colonization. Noon-1 p.m., Impact Hub, 10 E. North Ave.
Community Relations Commission Meeting: The Baltimore City Community Relations Commission (CRC) is a City Agency that investigates claims of discrimination and assists people who have been discriminated against by enforcing the laws that protect them. Noon, Office of Civil Rights, 7 E. Redwood. Baltimore Sustainability Open House:Baltimore Office of Sustainability’s annual Open House. 6-8 p.m., Baltimore War Memorial, 101 N. Gay St.